It’s that time of year, time to submit your game to the IMGA SEA 3! Yes, you read well: we just opened the IMGA SEA 3 call for entries. In order to be eligible, your game has to be created and available in SEA. Only Brunei, Cambodia, East Timor, Hong Kong, Indonesia, Laos, Malaysia, Myanmar, Philippines, Singapore, Thailand, Vietnam, and Taiwan can participate though. The other condition is that your game has to be published after May 2017. Your game can also still be in development, it could participate in the Best Upcoming category. For that, you need to submit a working demo and check the box “not released yet”. This year the IMGA SEA judging and ceremony will be held in Manila, end of October during ESGS. 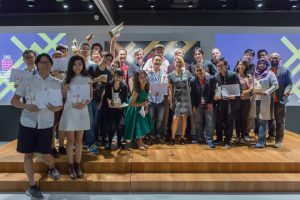 Last year winners included the Grand Prix Postknight, Valiant Force that won the People’s Choice Award and Mayari that took home the Jury’s Honorable Mention. Don’t wait any longer and submit your work here.